The Rambam writes: It is better to give more gifts to the poor than to (spend more) on one’s Purim seuda or on sending gifts to one’s friends, for there is no great and glorious joy like the joy of gladdening the hearts of poor people, widows, and orphans… One who gladdens the hearts of these unfortunate people is comparable to the Divine presence. We see from this Rambam that the primary concern one must have on Purim is to create simcha among those who are less fortunate. ​The custom is to buy wheat and distribute it to the poor people for their Pesach needs. All that live in the city for 12 months must give to this cause. The custom nowadays is either to give matzah and other necessities to the poor of money or funds to buy the necessities. It should be done in a respected manor and discreetly where necessary. 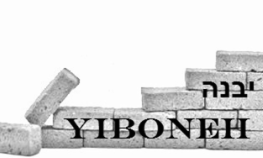 YIBONEH provides various ways to help those in need for the Holy Days of Passover. Distribution of Kosher Food For Passover. Financial assistance direct to families in need. Collection before passover and distribution of not-for-passover food immediately after passover. For large food deliveries - we will pick up! or contribute via Credit Card or PAYPAL by clicking on the Paypal/CC Icon below..
​Please specify which mitzvah the contribution is for and which day of Purim the contribution is to be used for.